St. Francis High School has partnered with Next Move to provide tutoring for the kids at the Family Shelter. On a quiet May afternoon, five teens celebrated a successful collaboration with the Next Move Family Shelter. 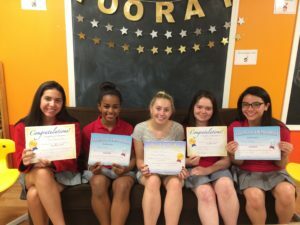 These St. Francis Catholic High School students established a twice-a-week tutoring program at the shelter to support homeless children. Enjoying pizza and cupcakes, the tutors reflected on the goals and successes of this pilot program. When asked why she wanted to join the program in February, Avery Hoyt said what rang true for each volunteer: “I like working with kids, and I enjoy tutoring.” Avery, a 15-year-old sophomore, added, “Because the children we’re helping are homeless, they may not have the same opportunities as other kids.” Children who enter the family shelter may be enrolling in new schools, returning from prolonged school absences, and/or carrying lower grades due to the traumas of homelessness. The goals of the tutoring program were to give children a safe space to learn, build skills, raise confidence, and create healthy mentorships. The tutors say that supporting the children takes energy, creativity, and persistence. The motto here is, ‘Meet the kids where they are.’ Each child has a voice, a set of strengths, and a unique educational experience. Some days, the children are ready to tackle their homework. Other days, they feel frustrated or tired. The tutors discovered that checking in with every child as he or she enters the room fosters trust and a sense of community. Refocus activities like jumping jacks and stretching give the kids much-needed breaks from studying. Other important program aspects include celebrating milestones and enjoying playtime. What’s more to celebrate? 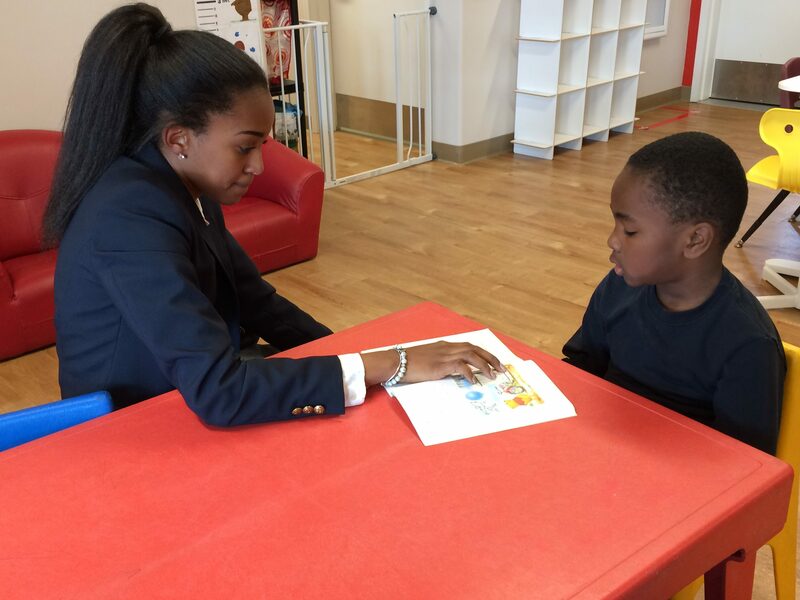 The tutoring program is returning to the family shelter this fall! The tutors started a school supply drive at St. Francis in August to benefit the shelter. New tutors are also joining this growing program, and everyone is excited to begin in September. Thank you Mallory, Marisa, Ivanna, Kiarah, and Avery for your service and dedication! If you are a high school student in Sacramento who is interested in tutoring at the Next Move family shelter, please send an email to: dlanphear@nextmovesacramento.org.